I am very happy to announce that from now on, LiveChat supports rich messages. What does it mean exactly? That you can mix and match: text, images, and buttons to create personalized product cards and clickable menus. 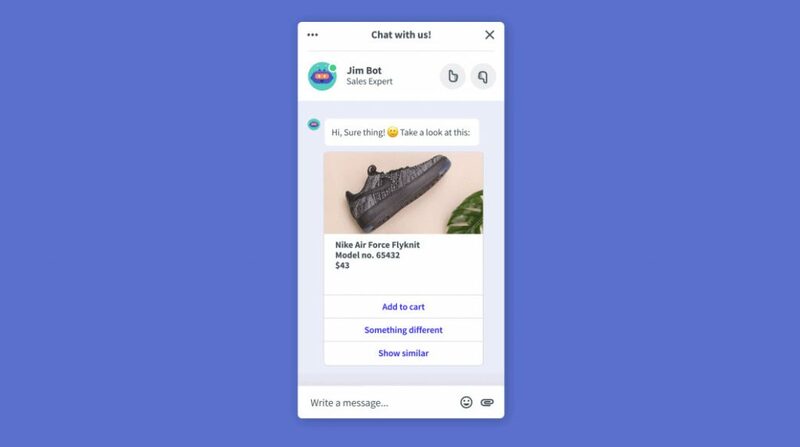 Send them right on chat to provide better support and boost sales. We are only getting started, and for now, you can create rich messages through our integration with ChatBot. All messages sent by bots are displayed both in the chat widget and the Agent App. Read this article to learn more about the benefits and capabilities of our newest feature.